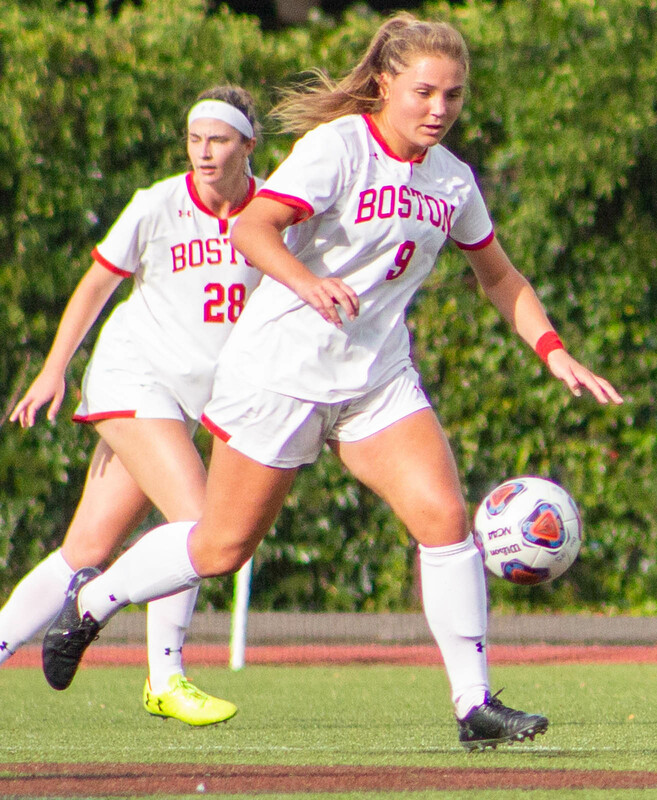 Two days after the Boston University women’s soccer team clinched its second outright regular season title, the Patriot League named its honorees with six Terriers (9-7-3, 7-0-2 Patriot League) earning recognition. At the head of the team, BU head coach Nancy Feldman earned her second Patriot League Head Coach of the Year recognition — her 11th including the program’s time in America East — in the same year she earned her 300th win. While Feldman said she accepted the recognition of her peers, she said coaches with difficult years plagued with injury and difficult players as those who deserve the coach of the year recognition. For the second year in a row, a Terrier was named the Patriot League Rookie of the Year. Last year, it was current sophomore forward Anna Heilferty. This year, the title went to freshman midfielder Taylor Kofton, who was also named to the All-Patriot Third Team. Kofton’s four conference goals led the team and tied her for second in the league, two of which were game-winners. 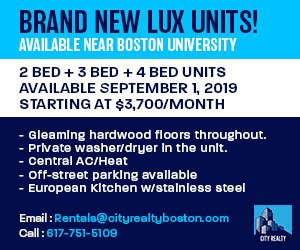 A native of Norton, Kofton had previously been named the Massachusetts Player of the Year and said that being able to maintain those ties attracted her to BU. Feldman commended Kofton for making the jump from high school and club soccer to a starting position on a college team, stating she was impressed with Kofton’s conditioning when she arrived on campus after recovering from an ACL injury the summer before her senior year in high school. Both the coach and the player said communication allowed Kofton to grow into her position. Kofton entered the line-up after an injury to senior forward Julianna Chen, who the freshman described as an essential tool for her when she joined the team. Another midfielder, senior tri-captain Dorrie Varley-Barrett, was named to the All-Patriot First Team alongside Heilferty, who led the team offensively in goals, assists and points. Varley-Barrett of Chelmsford has started in all but one game in her last three years at BU. Senior defender duo Chelsea Churchill and Libby Closson were both named to the Second Team. Along with her defensive duties, the Terriers’ first winning goal of the conference season came off a header from Churchill in the eighth minute of a match against Lehigh University. The team allowed only two goals in regular season conference play, keeping the rest of its Patriot League foes shut out. On average, the team only allowed 6.1 shots per game from league competitors. Feldman attributed to the seniors’ success to their preparation and competitive natures and said that they are “model” players for the rest of the team.